If you are looking for a dentist who can replace a tooth or several teeth, Carolina Dental Arts has the perfect treatment for you. As part of our restorative dentistry, we offer discreet, reliable dental implants and mini dental implants in North Carolina at our locations across the state. These permanent tooth replacements last a lifetime, relieving you of worry and pain when it comes to your smile. What makes dental implants from Carolina Dental Arts a great option? Not only do they induce only minimal pain, but they mimic the natural tooth root system in order to feel completely natural and comfortable. Most people are able to go back to the work the same day of the procedure. We can guarantee that your dental implants will last for years to come. 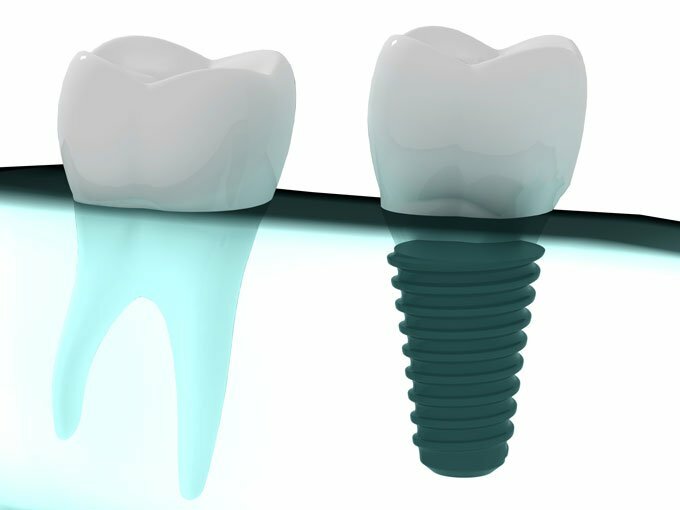 The dental implant is placed under the gum and left to form a solid connection with the jaw bone, making it a permanent tooth replacement. The gums are then allowed to heal around a post, ensuring total comfort and health. An artificial tooth is attached to the post and covered with a dental crown. The new tooth is so similar to your own, you won’t even notice it. Are you ready to see what a dental implant can do your smile? Contact the team at Carolina Dental Arts to schedule an appointment today.